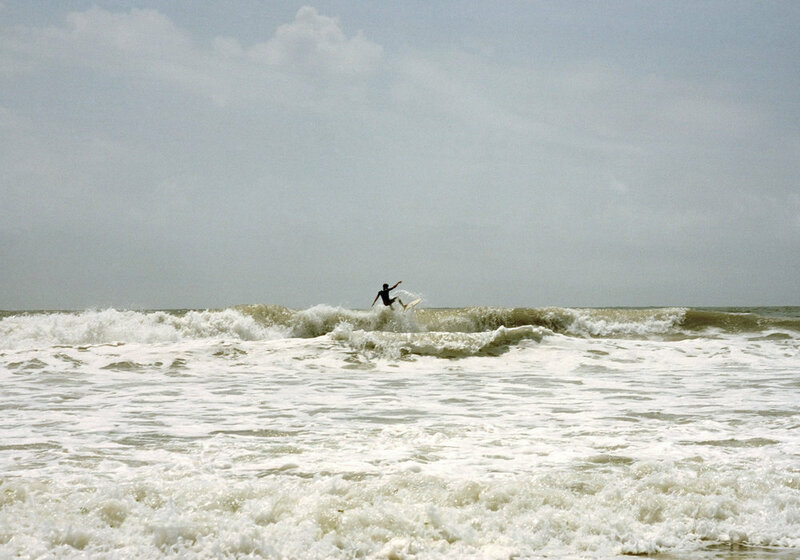 When surfing, we ride physically that constantly changing moment between past and future. The future is the goal, the past is where you find the power to get there, and the present is the only thing you’re in control of. That water—the most basic element—is at the center of surfing further confirms its spiritual core. Surely there are rules, terminology and even etiquette, but surfing is very intuitive. It is a series of rhythms that resembles a dance: countless cycles of paddling out, waiting for a good set, catching a wave and finally riding it—the brief moment you've been moving toward the whole time. Lidiya Kan (@lidiyakan) is a documentary photographer and a filmmaker based in New York. She currently teaches photography at LaGuardia Community College.